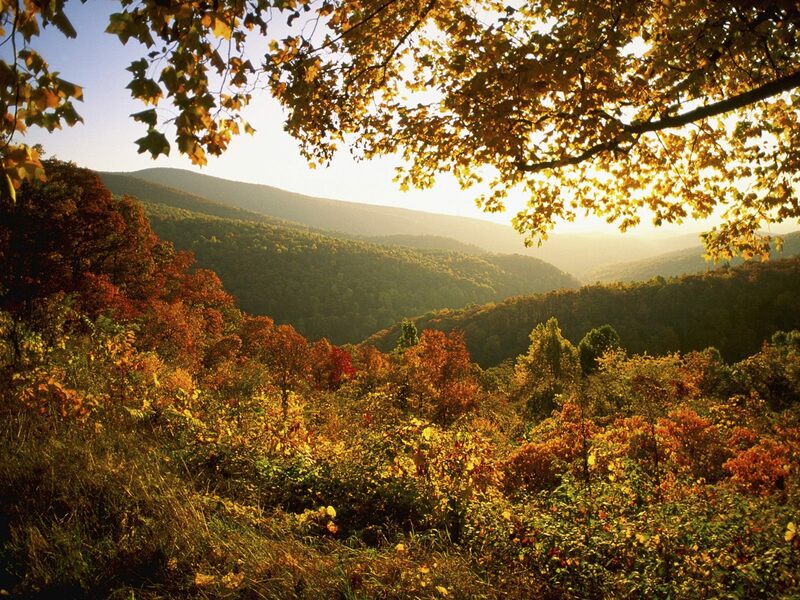 Shenandoah National Park is a long, narrow park in the Blue Ridge Mountains of Virginia. The park is more than 40 percent wilderness, though most people choose to tour it via the scenic Skyline Drive. The long stretch of road features sweeping views of the Shenandoah River valley to the west and the hills of the Virginian piedmont to the east. 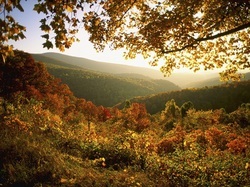 The hills and valley burst with bright colors during the autumn. This part of the Appalachian Mountains is home to some of the oldest rocks in Virginia. The exposed faces in the park date back more than one billion years. While this might fascinate geologists, most park visitors are probably more interested in hiking the rocky terrain, like the challenging scramble up Old Rag Mountain. Prior to being named a national park, the land in this region was primarily used for farming. Much of the land was acquired by the state after a tragic drought in the 1930s caused many homestead farms to fail. Virginia purchased the land from owners or else forced them out by eminent domain in order to secure land for the park. A few holdouts remained, although their communities were displaced or destroyed — a sad but true stain on the history of one of America’s most beautiful national parks. Click to see a detailed Shenandoah National Park map.